Prof. Ji-Yeon Yuh explained the history and political climate of North and South Korea on Wednesday night. About 25 students attended the discussion. 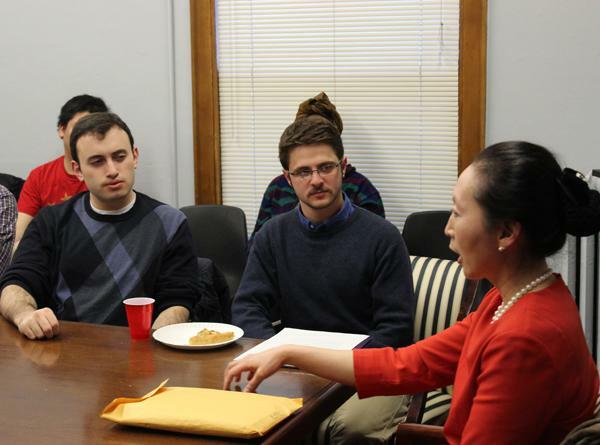 Weeks after North Korea threatened to attack South Korea and the United States, Prof. Ji-Yeon Yuh discussed Wednesday evening the isolated country’s history and current political climate. Student attendees said the discussion presented a more nuanced perspective on the issue that is not available through American media. About 25 people ate pizza and posed questions at the event sponsored by Politics & Policy at the Roberta Buffett Center. 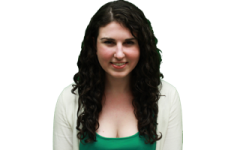 Yuh primarily focused on the history of Korea because she said the political climate goes back decades. She argued peace could not be achieved through isolation. She also took questions from students on a variety of topics, ranging from human rights violations to potential Korean reunification. Throughout the discussion, Yuh continually attempted to dispel common American misconceptions about both North and South Korea. She argued that South Korea was not a sovereign nation due to the amount of military control the United States maintains in the country. “If North Korea is a puppet state, then South Korea has to be a colony of the United States,” she said. Weinberg senior Brian Lee said he found the discussion interesting, particularly as a Korean American. After the talk, he told Yuh he had attended school in South Korea for seven years, but he had never learned about the history of North Korea. Lee told The Daily he found some of Yuh’s opinions to be more idealistic than his own. However, he said discussions similar to Wednesday’s do not come around often. Sam Houskeeper, a Weinberg sophomore, was more apathetic about the presentation. He said he has been following coverage from the Korean peninsula closely, and although he heard new opinions Wednesday, he disagreed with many of them. “It’s always interesting to hear a variety of perspectives,” Houskeeper said. Communication junior Matt Baron, a Politics & Policy editor, facilitated the discussion and said he thought the event was a success. Yuh said she found the discussion to be engaging and interesting, and that the students asked good questions.